يشكل Dolphin Sands Holiday Villas بموقعه الممتاز في كوفس هاربر نقطة انطلاق جيدة لاستكشاف هذه المدينة النابضة بالحياة. يمكن من هنا للضيوف الاستمتاع بسهولة الوصول إلى كل ما تقدمه هذه المدينة النابضة بالحياة. يشكل هذا الفندق ملاذاَ مريحاً للاسترخاء ويمنح زواره فرصة للاستجمام والتجدد، وهو يقع على بعد خطوات من المعالم السياحية الكثيرة للمدينة كمثل: Park Beach, Wicked Berries, ‪Coffs Creek Walk and Cycleway‬. إن الخدمات الممتازة وحسن الضيافة العالي في Dolphin Sands Holiday Villas تجعل إقامتك تجربة لا تنسى. يقدم الفندق واي فاي مجاني في جميع الغرف, مرافق مخصصة لذوي الاحتياجات الخاصة, تسجيل وصول/خروج سريع, تخزين الأمتعة, واي فاي في المناطق العامة لضمان الراحة القصوى لضيوفه. بالإضافة لهذا,تتضمن كل غرف الضيوف مجموعة واسعة من وسائل الراحة . بعض الغرف توفر حتى تلفزيون بشاشة مسطحة, غرف لغير المدخنين, مكيف هواء, تدفئة, مكتب لإرضاء أكثر الضيوف تطلباً. كما أن مجموعة الخدمات الواسعة الموجودة في الفندق لضمان راحتك تترك لك الكثير من الخيارات لقضاء وقتك أثناء فترة إقامتك. مهما كانت دواعي سفرك فإن Dolphin Sands Holiday Villas هو خيار ممتاز لإقامتك في كوفس هاربر. The cleanest place I have ever stayed. Only an overnight stay here with my fiance but we were very pleased with the helpful & friendly staff. The room was very good. Only issue is the wifi, but otherwise Great. Very good staff met us on arrival. We only stayed one night, and the stay was excellent. It would be an ideal accommodation for longer holidays. Really nice cabin. Local club for dinner and nearby cafe for a wonderful breakfast made the stay a very good one. We were extremely disappointed with the accommodation. On arrival, I was told an Asian family had been there for the week. They did a lot of cooking and the smell in the villa was sickening. The smell was through everything. Cupboards, closets, curtains, bed linen, lounge. I sprayed air freshener around and had to leave the windows open, day and night. We certainly won't be telling anyone how good this accommodation was. We weren't sure whether we should say anything, but, this was a lot of money for us and unfortunately it was so disappointing. We booked this on short notice, we traveled down from the border and we going to arrive after the office closing time. This wasn't a problem for the staff though who left the key out in a pre-arranged place, they also left the outside light on for us. The wi fi internet didn't work despite repeated attempts. No other substitute was provided. So we had to leave one day early. We paid for three nights and ended up staying two nights because of internet. Towels and bed sheets were not replaced. No shampoo was provided. Foxtel didn't work due to bad weather. Spa is solar heated do it was cold water only. Will recommend not to pay more than 120 for four. This was a very pleasant surprise. A two bedroom chalet which was surprisingly spacious. It's in a small complex of seven chalets, a short walk from the beach. The chalet was equipped with everything we needed, and there was a laundry on site. Staff were extremely helpful and knowledgeable about things to do and places to see. Wished we'd had more than one night here. Nice. Had everything we needed, plenty of space, enough amenities to provide for meals, etc. Wonderful & would recommend dolphin sands to everyone . We loved our stay at Dolphin Sands Holiday Villas. We loved that we were so close to everything, well within walking distance of the beach. It was affordable, and definitely worth every cent and the owners were lovely. We would happily stay there again. The owner/receptionist at this motel was amazing so helpful and knowledgable about the area. Room was big and clean and had cable TV. The beaches nearby were really nice and quiet. 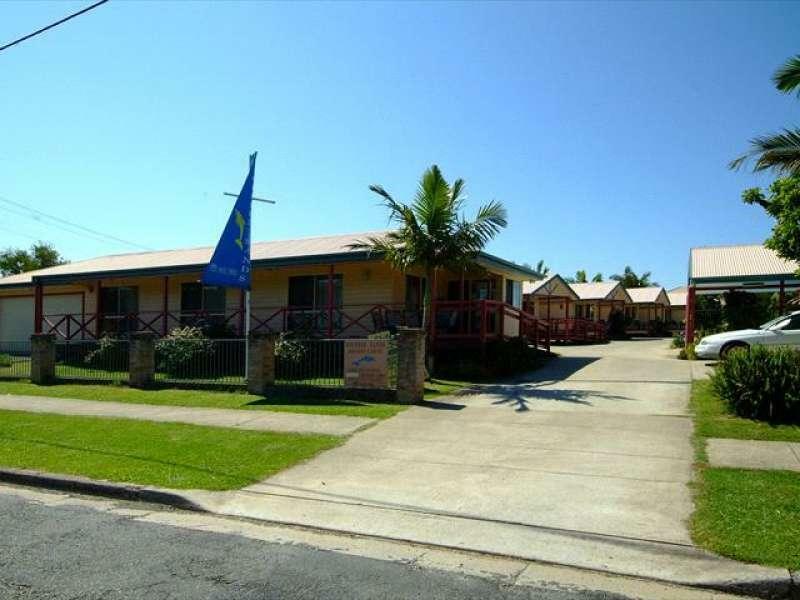 Coffs Harbour itself is not the most lively place but I would recommend the motel to anyone. We had a lovely time visiting Coffs Harbour - especially the Pet Porpoise Pool - we recommend it highly! :) We stayed in a nice 2 bedroom unit, that was quite spacious, but dated. It was close to everything & a great location. The room size was comfortable with full amenities (e.g. pots, pans plates etc) for a cook in. Note the check out times, late check outs max till 11 am but its standard in Australia. Location is good with walking distance to the beach. loved the View fromour Balcony hotel!! 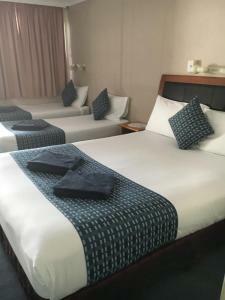 For a Traveller with a young Family Hotel was surprisingly suitable for me and my Little family, Kids loved the pool and the oher recreational facility which kept them entertained. as they they say Kids are Happy I am happy along with the mrs,we were able to find time to relax with peace and quiet. The Kids also enjoyed the extra childrens channel on TV and the Spa pool was pretty relaxing too, I would definetly recommend this Hotel to Budget travellers or last minute Holiday makers!! villas are kept really clean. good sized lounge are with flat screen tv and austar pay tv. comfortable queen sized bed. larage kitchen bench with all facilities for meal preparation. close to the beach and a large shopping centre. pool and spa completes the experience. we had a very pleasant stay for 5 nights and enjoyed the pool and the spa. we enjoyed pleasants walks to the beach and there are plenty of eating places nearby.price was very reasonable for what is supplied. parking beside the villa was provided [ not under cover] but access was tight down a fairly narrow drive. air conditioning in the lounge / dining are and ceiling fans thrroughout provided very adequate cooling.